I read the first five Silo novellas in a single omnibus (although it's not so sub-titled on the jacket). Howey's an amazing storyteller. Although sentences run a little on the long side, there's consistently such good meat in them. There are few swear-words, nothing exclusively "adult" by way of sensual content, and descriptions of any violence are tastefully handled. I went in knowing little about this book, and that made for an incredibly unraveling. 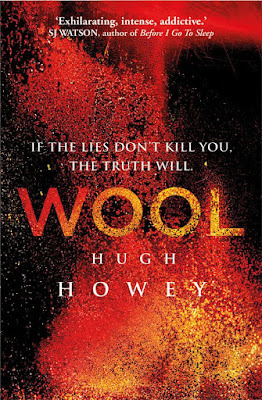 The magic of the work is only amplified for Howey having self-published this masterpiece (I can talk for a long time about Howey as poster boy of Indie publishing -- that is another post entirely). Sadly I found the subsequent novel (Shift) lacked the same engrossing intrigue and tightness of narrative. Book 1 however? An excellent read.